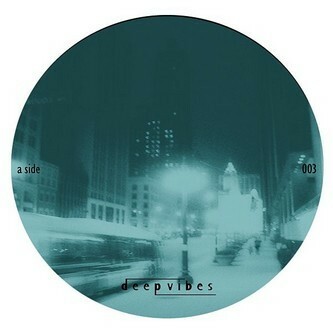 Brilliant deep house styles from Deep Vibes head Sascha Dive with some damn fine remixes from Drumpoet Community's Samuel Davis. Sascha Dive brings up the A-side with a frictionless deep and moody Detroit house number on 'Deepest America' but it's the Samuel Davis perc mix that has really got us buzzing for the wicked strings that hover constantly threatenting to to deliver some Theo Parrish style epicness, but remain wonderfully restrained and in combination with the irresistable jackers rhythms it's a total winner. The B-side repeats the trick with another pair of tracks from Sascha and Samuel Davis on a love-in remix tip, providing two more highly useful deep house trips cut from the finest minimal palette to sound seriously crisp and fresh. Fans of the recent Keith Worthy/Juju & Jordash EP, Theo Parrish and quality deep house in general owe it to themselves to give these a look in. Ace.